Tomorrow is kind of a significant day for me. For one, it’s Thanksgiving (we Canadians know that October is in fact the right month in which to celebrate Thanksgiving! ), but it’s also six years to the day since I first got sick. Six years since I entered the world of chronic illness and became a spoonie. Two years ago, October 11 was my would-be university convocation day and I was stuck in bed with a tube up my nose and down my throat so that was pretty terrible. Last year on October 11, I was less than two weeks into a five and a half week hospital admission so I was pretty miserable then, too. I would rather have a dragon. Okay so several weeks ago I had this text conversation with my friend in Saskatoon, Tabrez. Tabrez: Would you rather have a dragon or be a dragon? Me: Hm. Are other people dragons? Could I still talk and effectively communicate with people? Would I still be sick if I were a dragon? Tabrez: Annnndddd this isn’t a game I can play with Catherine. LOL. Me: Sorrryyy. I pick have a dragon unless it means that I wouldn’t be sick anymore then I would consider being a dragon. It’s probably not news to you that I like to analyze, and in many cases over-analyze, things, so you’re probably not surprised to know that over the next few days I gave that question a lot of thought. Before I could make my decision there were a lot of logistics to consider! I wondered whether or not people would still know the dragon was me…if I would keep my memories upon becoming a dragon…if I would turn into a dragon now or if I would have been one my whole life…and of course none of these questions had answers because it was just a random game and reality and logic were never meant to be part of the equation. But of course I kept thinking about it, and the more I thought about it, the less appealing being a dragon seemed. I figured if I were a dragon I likely would have been one my whole life so I wouldn’t even be me…I’d be a 24 year old dragon who had lived 24 dragon years doing whatever it is that dragons do. But even if that weren’t the case, even if it worked out so that I magically turned into a dragon and was still me just now in dragon form, I figured I probably wouldn’t get to talk to my family and friends anymore. I would maybe be allowed to live in the backyard but definitely wouldn’t be allowed inside the house. And I don’t know too much about dragon anatomy, but I kind of picture dragon arms like T-rex arms and that means that crocheting would probably be out of the question. Being a dragon was not looking like a good time, but I kept coming back to one question. So really, this is what it came down to: would I give up everything about my life for the chance to not be sick? Put that way? The answer is easy. No. No, I would not give up everything about my life for the chance to not be sick. Having a chronic illness is awful. Life with a chronic illness can be terrible, lonely, hopeless, disgusting, traumatic, and so many other negative adjectives. But those adjectives describe my life with an illness. They do not describe my life. My entire life is not awful. It’s not terrible, lonely, hopeless, disgusting or traumatic. Because my life is more than just my illness. And for all of the awful things I’ve gone through and the terrible moments I face every single day, I’ve also been witness to an incredible amount of goodness. I have encountered so many wonderful people, people who have made me laugh, showed me compassion, and gone out of their way to make my day a little brighter and my life a little easier. I have had people reach out to me and help me in my most vulnerable moments, and I’ve had the opportunity to reach out to other people and be there for them in those moments of their own. That incredible amount of goodness has brought with it the most authentically beautiful side of humanity. I have been discouraged, demoralized, and pushed aside, but I’ve also been empowered, uplifted and inspired. I’ve been poked, prodded and cut into, but I’ve also been treated with care and concern and have been held together when I’ve otherwise been falling apart. I’ve felt lonely and isolated, but I’ve also never been closer to my loved ones than I am now. I’ve found myself headed in the wrong direction more times than I count, but I’ve always managed to turn myself around again. I have experienced all of this because I’ve been sick, but also because I’m human. As far as I know, dragons don’t have these same experiences. Being sick has changed me. It’s changed my family and my friendships. It’s changed my values and my perspectives. It’s changed my goals and my interests, my worries and my fears. And all of this change? It’s not all for the worse. Some of it’s for the better. If I could snap my fingers and not be sick anymore but still be me, absolutely I would do it. The thing is, that’s not realistic. Why don’t we look at a more realistic situation…the dragon situation, of course. If I had the choice between being a dragon and having a dragon, I wouldn’t want to be a dragon. I would not change everything about my life, everything about me, for the chance to not be sick. So like I said, I can summarize where I’m at after six years sick in one sentence. Thanks Hadley! I was reading your most recent updates last week and it sounds like you’ve had a lot going on lately. I hope things start to settle down for you soon and at the very least I wish you better sleep! Hang in there, my friend. Thanks Ashley! It makes me very happy to hear you say you’d rather have a dragon as well. Funny how one day can hold so much significance, hey? Congratulations on almost 15 years of conquering a broken body and still finding things to smile about! I’m so glad you would rather have a dragon as I can’t imagine having a dragon for a daughter, and I can’t imagine my life without you. You are a source of hope, inspiration, joy, acceptance and faith – you give me more than you can ever know and are such a blessing in all of our lives. Your writing goes from strength to strength and makes compelling reading. I can really relate to this article being 8+ years into a chronic illness – Complex Regional Pain Syndrome and like you the proud owner of a wheelchair. I would also rather have a dragon. Hey Rosemary – thanks! Getting through 8 years of CRPS is no small feat and I’m so happy that even after all that you would still rather have a dragon. Well said. What a great way to put things into perspecive. Thank you and Happy Thanksgiving. Thanks Carrie! 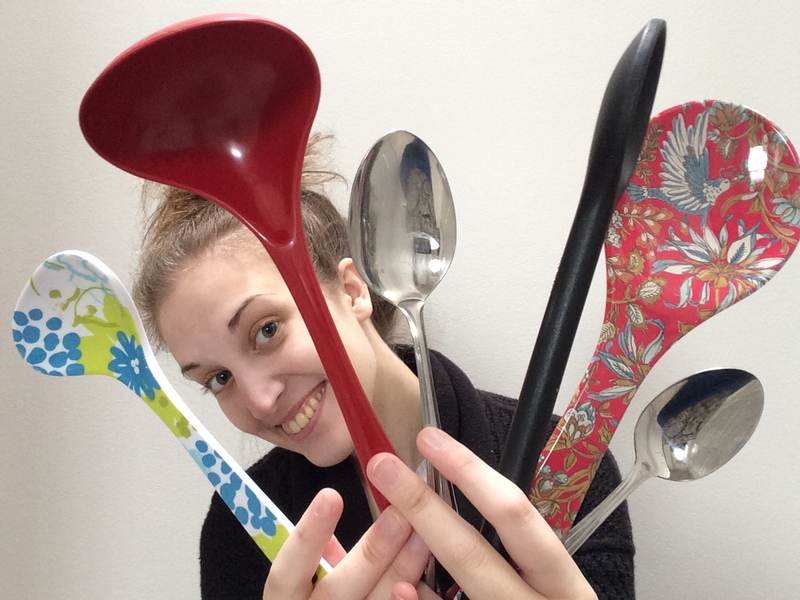 Hugs and spoons to you!